Greece has been characterised as the weak link of the Eurozone, since it became the epicenter of the European debt crisis in 2009. That year, the country announced that it had been understating its earlier deficit statistics, thus raising concerns about the country’s financial state. The revised data increased both the budget deficit and the public debt. As a result, Greece was shut down from other forms of external borrowing. 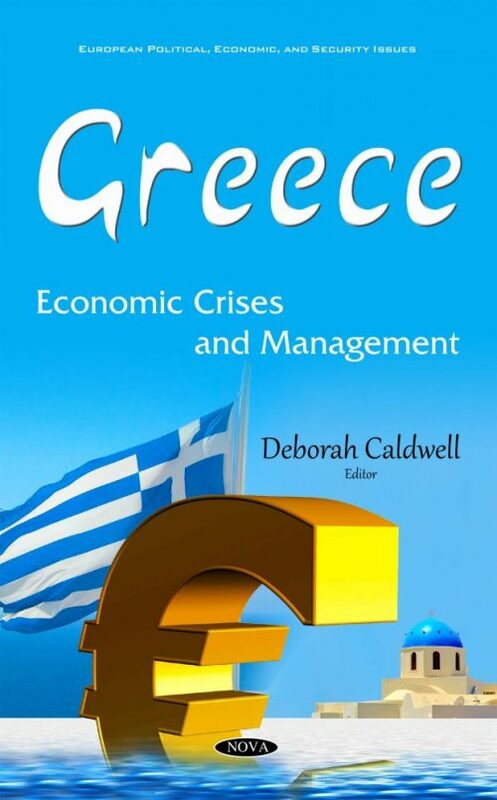 The main purpose of Chapter One in this book is to present a brief but comprehensive analysis regarding Greece’s economic crisis. More specifically, the chapter describes some of the negative consequences that are associated with Greece’s accession to the EU. Chapter Two examines how the economic crisis affects the formulation of energy policy in Greece. Chapter Three studies how a financial strain may disproportionately affect smoking behavior in some specific disadvantaged groups in countries that have higher financial problems. Chapter Four discusses a study on recent trends for change in the maternity landscape of Greece, which appears to be related both to the economic crisis of recent years and to the new personal and collective initiatives for autonomy and self-determination that have emerged lately in part due to the crisis. Chapter Five analyzes economic and political developments in Greece for the period 2010-2015, after the introduction of the memoranda agreements between Greece, the European Union (EU), the European central Bank (ECB) and the International Monetary Fund (IMF). Chapter Six investigates the application of a business-based, twelve-step strategic planning model for national strategy.